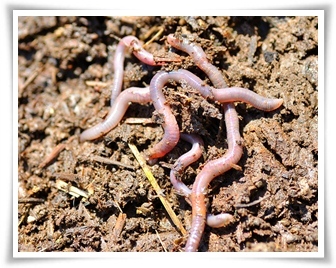 The first step in how to raise earthworms is choosing the right worms. There are three primary kinds; the Red Wiggler, the European Nightcrawler, and the African Nightcrawler. In the interest of narrowing down my focus I’m going to concentrate on the Red Wiggler. They are huge eaters and can easily adapt to a wide variety of environments. The Red Wiggler is a hardy species and can survive in temperatures ranging from 40-100 degrees. This small worm is great for feeding your aquarium fish or composting. Fishermen like them because they’re tough and lively; great qualities for hanging around on your hook and attracting fish. Each Red Wiggler has both male and female organs and produces an egg capsule every 7-10 days. The eggs incubate from two to three weeks and produce from 2-20 young per capsule. Now you know a little more about the Red Wiggler so the next step in how to raise earthworms is choosing where to raise them. If you’re raising composting worms you can either raise them in a compost pile or plastic bins. Wherever you decide to raise your worms they need darkness, moisture, and food. You can buy specific bins that are just for raising worms, or you can go to the store and buy a couple plastic storage totes. Not everyone has a garden or access to a compost pile outside, so plastic totes are a good way to go. An advantage to indoor bins is the ability to give the worms a constant climate that is best for them. Don’t worry about your bins not being big enough. A bin the size of the average bathtub can hold up to 3000 worms. If you live somewhere that has extreme cold your compost pile is not going to be the best choice. If you live somewhere where extreme cold or heat are not factors, when it comes to how to raise earthworms, you may want to use a compost pile. Your pile will be composted ten times faster with the presence of worms. With a few wooden stakes and some chicken wire you can easily build your enclosure. Next, you’ll want to rake up some grass mulch and dead leaves to add to the enclosure. Then mix in some table scraps and water thoroughly. You can add in your worms in a week or two. To add worms just dig a hole in the middle of your pile and drop in the worms; cover and water. Don’t make your pile soggy though or it will heat up too fast. Many people like to add in Peat or Sphagnum moss to the mix. It’s great for water retention and worms like it. Drill about eight to 10 half-inch holes in the lid of the storage tote. If you’re using an indoor bin, shredded paper makes an excellent bed for your worms. This makes for an odorless worm farm because you don’t need to add in food scraps. Just be sure to moisten the paper before adding it to your bin. Note: Only use the black and white sections of the paper and avoid using the glossy inserts. You can use manure also, but probably not in an indoor bin due to the obvious smell factor. While cow manure is great, worms love rabbit manure. If you use rabbit manure you don’t have to compost it before adding it. Rabbit manure comes ready with lots of tiny organisms that worms love. When learning how to raise earthworms you will want to know things you can feed to your worms. They can eat a great deal of things except for the following; salty foods, excess citrus fruit (only in small quantities), pet feces, and meat and bones. Meat attracts too many undesirables like flies and ants. Bones cannot be processed by worms. Now you know how to raise earthworms for composting. It’s not rocket science so just follow these simple instructions and you will easily be able to raise worms in either a bin indoors or a compost pile out of doors.